Many people who are dealing with a substance use problem struggle in other areas of their lives. It can be difficult to understand the way in which drug or alcohol dependence affects those who are suffering from it. But, it’s important to realize that substance addiction impacts people in many different ways. It can have an affect on the emotional state as well as the physical body. In addition to this, there is actually a connection between one’s mental health and substance abuse. Drug and alcohol use can have a negative impact on a person’s mental health. Likewise, a person’s mental state can actually lead to alcoholism or drug dependence. The relationship between mental health and substance abuse is an important one to think about, especially if you or someone you know is dealing with these issues. As we stated before, addiction can have a much less-than-positive impact on those who are suffering from mental health problems. But, those who are dealing with mental health issues may develop substance dependence because of those issues. So, the relationship between mental health and substance abuse is somewhat like a cycle. But, before we discuss this connection any further, let’s talk a little bit about what substance abuse is and define mental illness. Mental health is the overall health of an individual’s mental state. So, when people suffer from a mental illness, they struggle with a mental health disorder. There are many types of mental health disorders and illnesses. Some people suffer from mood disorders, such as clinical depression, anxiety disorders, and so forth. Others may live with cognitive disorders, like dementia or schizophrenia. More types of mental illnesses include post-traumatic stress disorder (PTSD) and eating disorders. When a person is suffering from substance abuse, it means that she is dependent on drugs or alcohol. After a person uses a substance for a while, her body will get used to functioning under the influence of that substance. So, when the individual stops using the alcohol or drug, the body goes into somewhat of a shock. (This is called “withdrawal”.) As a result, the individual will continue to use the substance to avoid the negative and uncomfortable feeling of withdrawal. 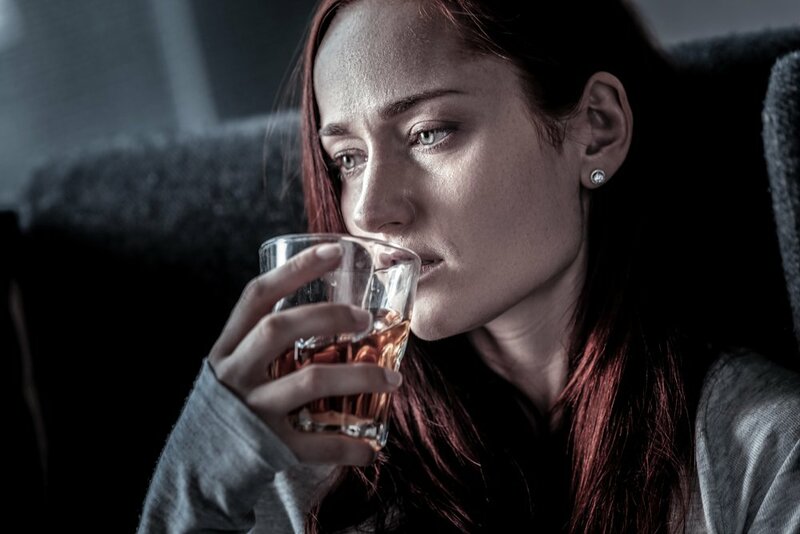 How are Mental Health and Substance Abuse Connected? It’s important to point out that addiction doesn’t have to involve alcohol or illegal drugs. Sometimes, people become dependent on prescription drugs. In many cases, people who are suffering from mental illnesses receive prescriptions for drugs that are meant to help them manage the illness. Of course, people who are using drugs to treat their illnesses do so because the medication helps them to feel better. This is certainly understandable. However, in many situations, the body grows to depend on the way the medication makes the individual feel. Unfortunately, these medications can be habit-forming. Some people may begin to use the drugs outside of their recommended use in order to feel better quickly. Some even turn to alcohol as a route of escape from the struggles of mental illness. Sadly, this substance use often leads to drug or alcohol dependence. And excessive substance use only worsens the mental illness. Thankfully, through dual diagnosis treatment, there is hope for those who are suffering from addiction and mental health disorders. Here at Willow Place for Women, we work to help our clients overcome the effects of the relationship between mental health and substance abuse. Our mission is to help women find peace and freedom from these battles and we want to help you. Just contact us today to learn about our services.